Surfing and water sports are hugely popular activities in Fuerteventura for all ages and there are regular surf camps in different parts of the island. There are beginners surf lessons where anyone can put on a wetsuit and experience body boarding in the sea and you'll be guided to learn different surfing techniques. The main surf school in Morro Jable is OTRO MODO Surf School, they even offer yoga on the beach in the evenings, so give it a go and try something different when you're there! 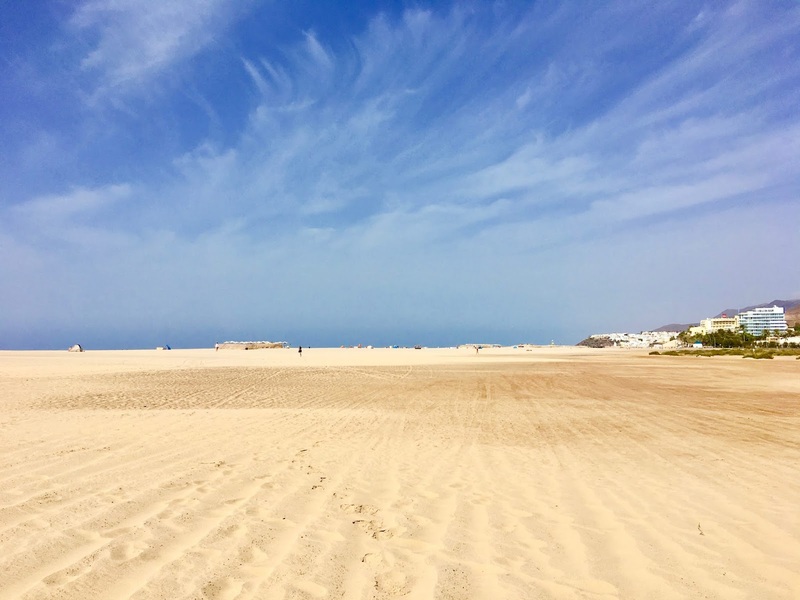 Fuerteventura is quite a barren and rocky island, which you'll notice when travelling between resorts, but you can take day trips to the Corralejo Dunes National Park in the north of the island or take an off-road dune buggy adventure. 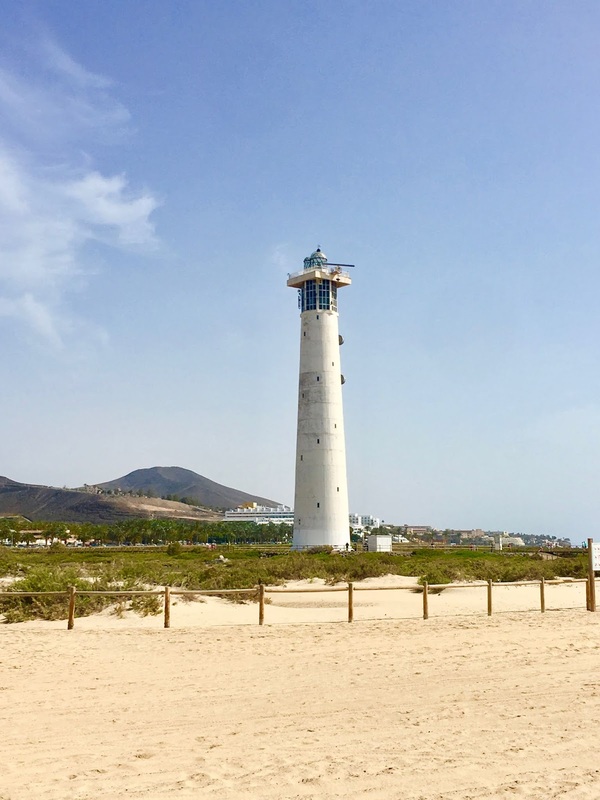 There are lots of little local shops as well as bigger shopping centres in Fuerteventura so you can take a break from lounging in the sun to spend some cash and get your holiday wardrobe sorted. You'll find lovely little local restaurants with an array of cuisines so you won't be stuck for something to eat. 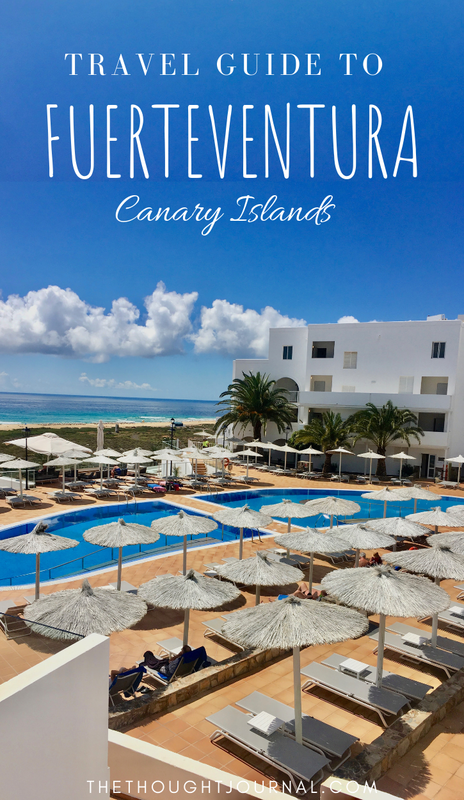 I really enjoyed my trip to Fuerteventura and although it's quite a peaceful part of the Canary Islands, you'll find something to do, from soaking up the beautiful views and experiencing the local Spanish food. The people were lovely and there are lots of shops and restaurants around, it's the perfect place for a short getaway. This post contains affiliate links however all opinions are my own. Love this place to travel in long weekend vacations.